Your lifetime warranty is valid for as long as you own the vehicle. There are no mileage or time restrictions. 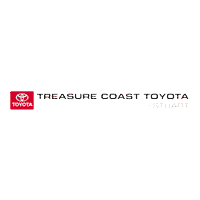 The Treasure Coast Toyota Lifetime Warranty comes standard and is included with qualifying vehicles at no extra charge. Does it require extra maintenance to maintain the warranty? The manufacturer recommended maintenance is required but no extra maintenance is required to maintain your coverage. Where is my Lifetime Warranty good? You may use your Lifetime Warranty at any licensed repair shop in the United States or Canada. Can I transfer my Lifetime Warranty? No. Our Lifetime Warranty stays with the original owner as long as they own the vehicle.